I have been writing about the Windows 10 anniversary update for quite a few days. And I must admit that I have been postponing writing about this error for a few days now. As soon as I wrote the first article about the anniversary update, a few people contacted me about the error 0x80080008 in Windows update. So, some users are getting problems while installing the anniversary update since it appeared in August (don’t quote me on that, though). The error occurs when you go to the Settings app > Update and Security > Windows Update and click on Check for updates. Sometimes, you will get the list of updates that Windows will download, however, the error 0x80080008 will show up while trying to install them. Even I got this error on a virtual machine that I was using for testing some things with Windows 10. As soon as the OS installation completed, I went over to the Update section and clicked on the Check for updates button. Of course, the updates were listed in front of me, but the installation wasn’t possible. This means it’s time to fix this error. Note: Resetting your PC means converting it to the stock factory settings. This means that all the data inside your C drive including installed apps will be removed. The apps removed will include all the Manufacturer’s provided apps and other pre-installed software. Read more. The simple method to fix this error is to reset your PC and then try installing the updates from the Settings app. 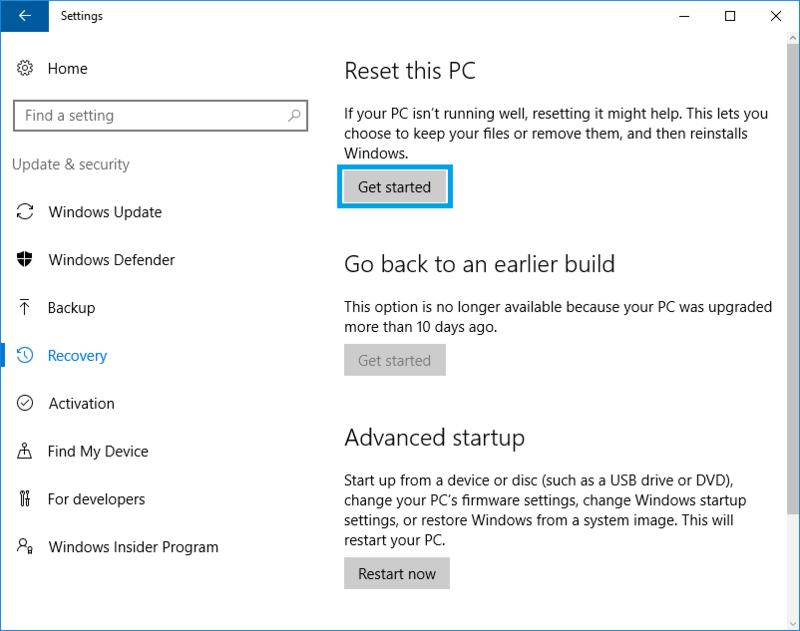 You can also try installing Windows 10 again via the installation disk, but that is quite unnecessary. Let’s continue with the steps required. Open the Settings app and go to Update and Security > Recovery. Here click on Get started button below the Reset this PC title. 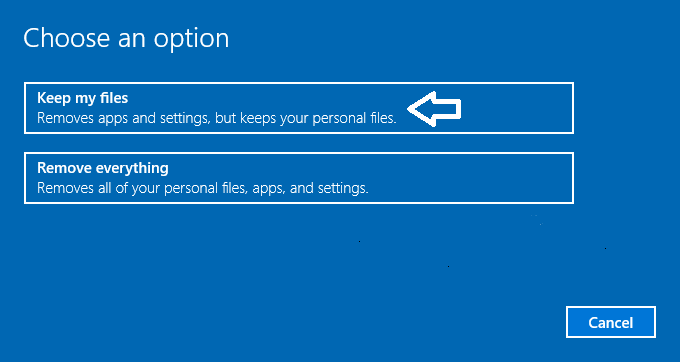 In the Choose an option box, click on Keep my files. This will keep your files intact and in their place even after resetting the OS. After clicking on Keep my files, let Windows do its work. And, as I discussed above, Windows will factory reset your PC and everything will be set to its factory defaults. Of course, your personal files will remain intact in their respective places. 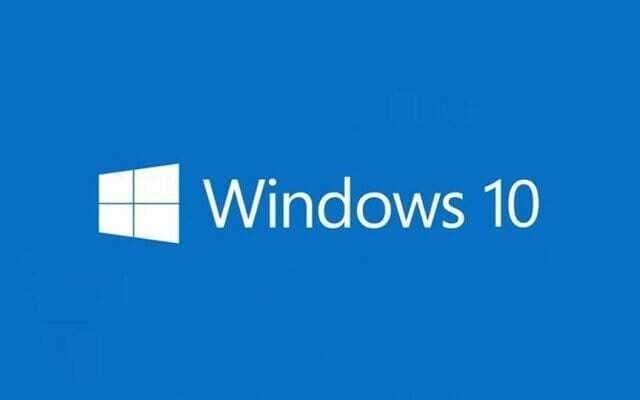 Once the process completes, you will be greeted with Windows first time setup screen where you will need to fill in your information like email, username and password for windows along with some essential settings. Once you reach the Desktop, head over to the Settings app > Update and Security > Windows Update and click on Check for updates. Windows will then check for the latest available updates and you won’t get the error 0x80080008 in update installation. It leaves your personal files but removes all teh ‘apps’ – which could mean spending all day re-installing Office, Solidworks, Audacity, Firefox, CCleaner, Java, Eclipse, Notepad++, and re-configuring of their associated settings. WHY? Well, Microsoft made it this way. It’s just like the hard reset we have on our mobile phones.